Commitment can be hard, but sticking to your preventive dental plan couldn’t be more important for your smile health. 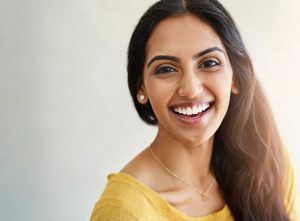 When you schedule and attend two checkups and cleanings with your dentist in Littleton every year, you get something wonderful in return — a healthy, beautiful smile that lasts a lifetime. Regular hygiene visits are the best way to avoid the need for complex treatments like root canals, extractions, and other things nobody ever wants to have. So now the question is, when was your last visit to the dentist? Many people skip out on their cleanings and checkups because they feel like they don’t really need to go right now — but too often, they never get around to visiting the dentist at all, until one morning they wake up with an aching tooth. When your teeth feel perfectly healthy, that’s actually the best time to visit the dentist. We’ll remove plaque and tartar and then provide necessary preventive treatments to help keep them healthy! When we see your smile regularly, we can also watch out for the small changes that could indicate bigger trouble later on. Early detection helps Dr. Kutis provide the most conservative treatment. In some cases, we can even reverse cavities — we will remineralize the tooth enamel to strengthen the weak spot and help you avoid needing a filling later on. Gum disease is also easily reversed when we spot the infection early, before the pockets of bacteria have reached a significant depth. We will chart your gum health when you visit our office every six months. A deep cleaning and improved dental hygiene at home can help you enjoy better oral health if infection is present. Patients of all ages need to see the dentist regularly. Children benefit from topical fluoride treatments during the six month checkup and cleaning. For adults, oral cancer screenings are a crucial part of the regular visit. It’s estimated that one person dies from the disease each hour in the US, but early detection of the disease improves treatment outcomes for oral cancer. In addition to visiting your Littleton dentist every six months, keep these healthy smile habits in mind. Your regular appointments will be a breeze when you maintain good dental hygiene all year round. Book a Checkup and Cleaning Today! If it has been longer than six months since your last visit to Blue Sage Dental, don’t wait another day to schedule an appointment! We want to help you enjoy better oral health for a lifetime to come, and it all starts with your checkup and cleaning.